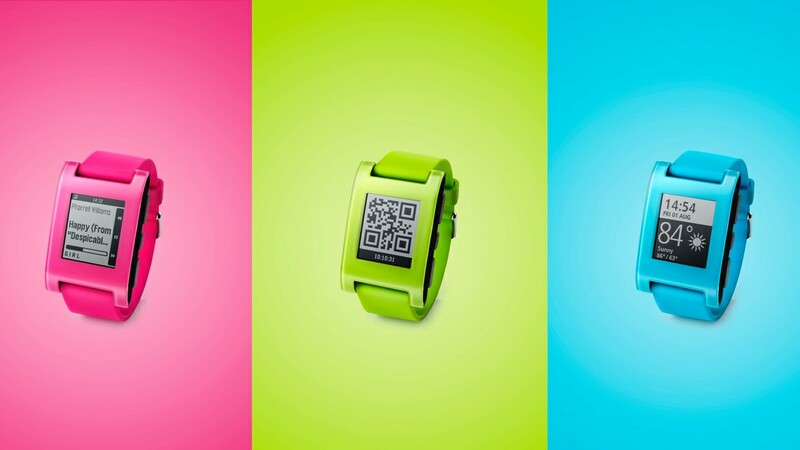 The original Pebble smartwatch has been given a new lease of life with three limited edition colours. The Kickstarter funded watch, which was unveiled back in 2012, originally launched in black, white or the dated looking red and black, and expanded to include a dullish orange and grey. However, after a second round of voting by customers and Pebble fans the company has now relaunched the trendy timepiece in retina-challenging pink, green and blue. The new colours are not shades for the faint-hearted, and the revamped Pebbles pack serious attitude, a million miles from the staid and corporate looking Pebble Steel, which followed up the original earlier this year. Despite being one of the founding members of the smartwatch and wearable tech revolution, the Pebble has lasted the test of time. It's still outselling smartwatches from the biggest names in tech, and the company announced last month that 2013's revenue his $43m, and that it was projected to double that in 2014. You can pick up one of Pebble's new colours for $150 (£90) and don't forget to read our Pebble Steel review and our Pebble tips and tricks guide.